Where ever you look now, you will see people using their smart phones either for playing or for working. More people from all corners of the globe are adding up to the number of Smartphone users. With more users, there is an increased request for apps too, though there is the presence of thousands of apps available in the iPhone. An IOS application development is not that simple and a lot go into making a proper IOS application development. There are different phases associated with the task that needs to be known. Creating an application for business can give any business the upper hand and also lets any user to access the data through an application. A mobile application directs the user to a company page directly and helps to build a better bond with the consumer with the facility. It also helps to create more possible customers that result in more revenue for the company. The IOS applications are also user-friendly and help to engage customers. An IOS application provides developers with the IOS software development kit or the SDK to develop apps more easily and also faster. This is a reason why developers and mobile app programmers opt for the iPhone application development. To develop and iPhone app develops must have a good knowledge of the iPhone software development kit or (SDK) for easy developing solutions. It is also essential to understand the exact requirement of the application for properly formulating the process. You also have to create a sample or a prototype and a layout to check if it is working properly. For a developer, it is also essential to figure out the possible loopholes and create a solution to overcome the problems. 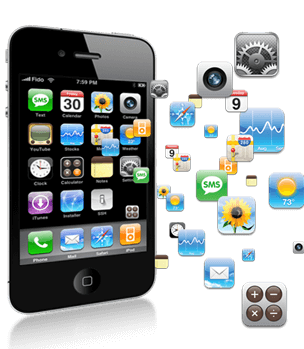 A professional IOS app developer can easily check the apps and the touch interfaces and other features. He can also interpret a company’s business requirements and give it proper shape with practicality. Apple empowered the developers by creating the unique SDK (Software development kit) to help developers to provide iPad and iPhone development services. The SDK has all the techniques and tools for creating an amazing application that is very easily accepted on the iTune store. The Software development kit is offered on the Apple’s own website and can also be downloaded easily. For an iPhone app developer it has become easier to earn more and charge as much, he can get from any software development company without having to share the profit with anybody. The API or the Application development interface is another feature to help you store data. All in all, IOS app development is the best solution for any apple device.